Home / Stories and Information / FAQs / Coloured Stones / Can birthstones change your life? We often get clientele asking about birthstones and I do think this is indeed a very intriguing topic. For thousands of years, people have been fascinated about what our time of birth reveals about our habits, personality and even our fate. Even though they could divulge to us some impending life catastrophe (which we were better off not knowing), we still throw thousands of dollars at astrologers, soothsayers and Feng Shui masters who always ask for our time of birth. There are zodiac signs, planets and even animals assigned to us based on when we are born. Every month has a beautiful gemstone assigned to it, which we refer to as birthstones. It is said that when you wear a gemstone corresponding to its month, that gem’s mystical and healing power is at its best. Gemstones are believed to be able to balance one’s physical, mental and emotional faculties so that the wearer feels a sense of renewal, influence and empowerment. Explains why kings and queens wore them! The purer in quality a gemstone is, the more power it supposedly possesses. Legend tells us that this custom dates back to the breastplate of a high priest who’s name was Aaron. It is believed that Moses himself instructed how Aaron’s breastplate is to be made and asked for twelve gemstones to adorn it, all of different colours. These gemstones were meant to depict the twelve tribes who lived in Israel. Later, these stones became assigned to the months in a calendar year. If you don’t know your birthstone, most jewellers should be able to tell you. But here is our list that you can refer to with some fun facts about each jewel. 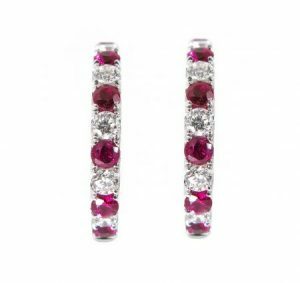 January babies get the lovely Garnet, which come in various colours with the red Garnet being most well known. These gems represents the element of fire and symbolises love and passion. Wearing it is supposed to improve and reenergise your family life. 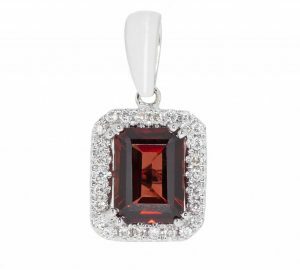 Garnets are believed to keep a wearer safe during travels and of immense benefit to those in high risks trades and jobs. February born? Amethyst is your stone. Perhaps you have royal blood, because Amethyst was only worn by royals in Ancient Greece. In fact, no one else was even allowed to wear them! This gem is believed to give courage and I have been told that if you have trouble sleeping at night, to put an amethyst under your pillow. I sleep like a dead log so never had to try that trick. If you do, tell me if it worked! If you are born in March, then the ocean and the sky are yours. Your stone is the beautiful blue Aquamarine. Sailors used to wear them for protection and keep them safe from the perils of sea faring. 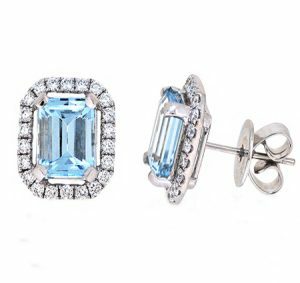 Like its calming colour, the Aquamarine is worn to keep the wearer serene and relaxed. Which explains why this stone represents eternal youth and happiness. Sounds like a simple solution to me…stay stress free and young with a gorgeous Aquamarine! I envy the April babies, I am downright jealous actually because April babies get the coveted Diamond. A diamond is believed to bring valour and yes, it is THE symbol for everlasting love. 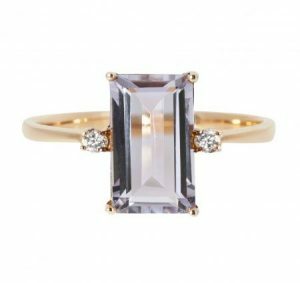 The reason this is the stone of choice for engagement rings is because it is the hardest naturally occurring substance. So its all rather practical; if you are going to wear a ring everyday, you want a hardy diamond! But I won’t kill the romance yet because the word Diamond comes from the Greek word adámas meaning indestructible. Hence unbreakable, everlasting love. We are called diamonds and pearls so naturally we have more than just decent collection of diamond crusted jewellery which you can view here. The green Emerald is the gemstone for those born in May. The Goddess of love and beauty is with you because the ancient Romans dedicated this gemstone to Goddess Venus. The gem gets its name from an Ancient Greek word, “smaragdus” which simply means green. I have read that Aristotle was a big fan of this gemstone and believed that wearing an emerald will give the wearer powers of commanding presence and speech. Emeralds also signify patience, growth, and wisdom. Some of ours are here. If you are born in June, your stone is the timeless Pearl. 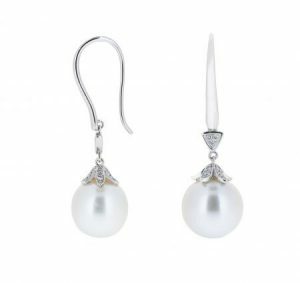 Always in fashion, pearls are known to be the symbol of purity and were believed by the ancient Greeks to be the hundred tears of joy cried by Aphrodite, the goddess of love. The pearl is supposed to help in regulating your body temperature and normalize your heartbeat. It is also the stone to wear to increase brainpower (which makes me think I should get more!). July is honoured by the luscious gemstone, Ruby. This stone has been revered throughout history by various cultures. In the early days, the Indians called the ruby Ratnaraj, ‘Ratna’ meaning jewel and ‘Raj’ meaning king. So the ruby is thought to the king of all gemstones. Like its colour, its energy is tense and is believed by Hindus to carry an indestructible internal flame. It is a gem in varieties of green that is your birthstone if you are born in August – the Peridot. This gem is said to release powerful healing and positive vibrations to heal emotional trauma. It aids with lethargy and neutralise toxins from our body. It is known to help with reducing ego in a person’s life. Set in gold, it can apparently help to protect one from nightmares. So remember to wear one to sleep after watching a horror movie! September borns get a variety of colour choice because your birthstone, the Sapphire, comes in many colours like pink, orange, yellow, green, colourless and black. 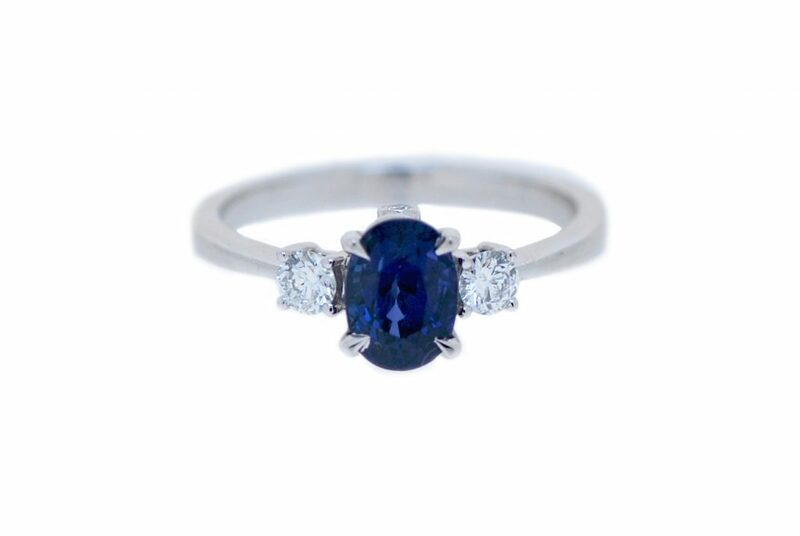 But blue Sapphires are probably the most sought after. If you have a goal or dream that you want accomplished, this is the gem for you. It is supposed to have powers to help you realise your goals and manifest your thoughts. Our peridot collection is here. October has 2 birthstones, Opal and Tourmaline. Both gems are a visual treat as they come in beautiful spectrums of colour. 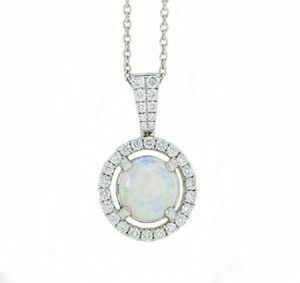 If you see an Opal on a shelf, chances are it came from Australia because more than 90% of opals are mined here. Legends tell that Cleopatra wore opals to attract Mark Anthony! It is thought to help release personal inhabitations in order to inspire love and passion. The gemstone tourmaline is known as a powerful healing gem, especially in Japan. It is believed to posses a powerful resonance which helps relieve stress, increase blood circulation and improve concentration. Personally, I don’t think this is fair, but December babies get FOUR (not one or two but four!) gemstones. They are Turquoise, Zircon, Tanzanite and Topaz,. All of them are known for the lovely blue shades that they come in. I already spoke about the topaz in November so will focus on the other three. Turquoise has been revered by the Ancient Egyptians and was worn to deflect the ill will towards you by others, what many cultures refer to as the ‘Evil Eye’. The Zircon comes in various colours and the colourless version of Zircons is often used as alternatives for diamonds. Zircons are known for their spirituality and used for grounding. So if you are facing challenges in life, this stone helps in giving you newer perspectives. Tanzanites are stones of truth and sincerity, They are meant to balance your happy hormones and enhance the compassion that you have for others. So you may end up being pretty popular and loved with a Tanzanite around your neck! So there you go, the 12 months and their corresponding stones. Now, I don’t know if a smart jeweller made this up or if this was legend as much of my research points to; but apparently for the full benefits of gemstones, individuals are meant to own all twelve stones for each month and wear the right one monthly. So can birthstones change your life? People belive they do and honestly I really don’t know. But I do think they are a great anchor to set your intentions with to remember what you would like to represent and invoke in your life. And what better way to do that then with a bit of sparkle!